In Reception we started off the week by learning about our new value - Courage. We listened to the story, 'Spaghetti in a Hot Dog Bun' and the children drew pictures and wrote what they liked about themselves. We talked about having the courage to be yourself! This term we are focussing on traditional stories and fairy tales. This week the children have been listening to the story 'Jack and the Beanstalk'. The children then planted their own beans and wrote simple instructions on how to plant a bean. In Maths this week the children have recapped how to add using a ten frame and they have been learning to record a number sentence. Some children have been using two ten frames, using numbers to 20. 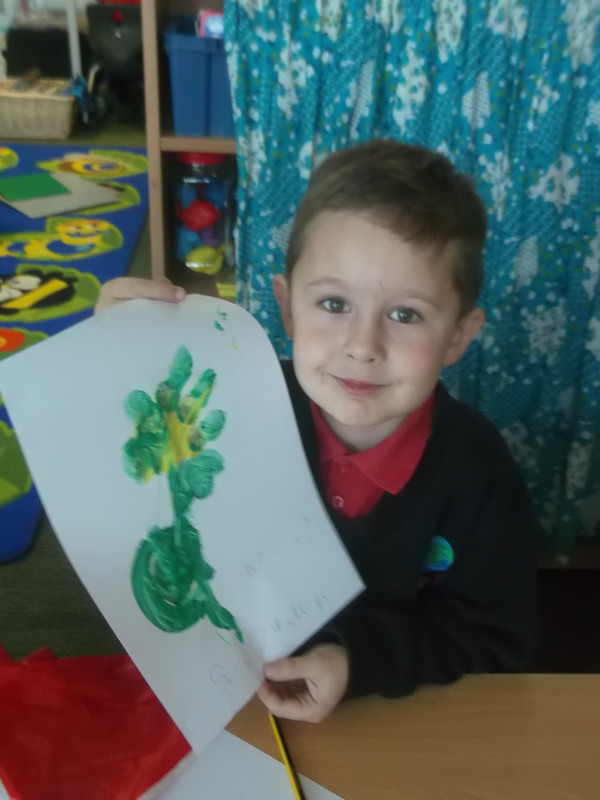 In their child initiated learning the children have been painting pictures of beanstalks and castles. 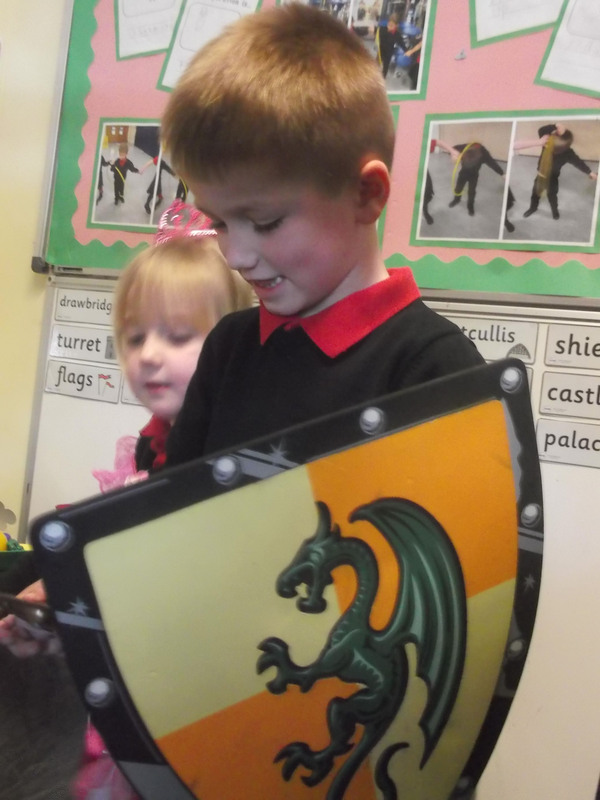 They have also enjoyed acting out stories in the castle role play area dressed up as knights and princesses. Mithra was awarded the Achievement certificate for always trying her best and being a good role model to others. Well done! 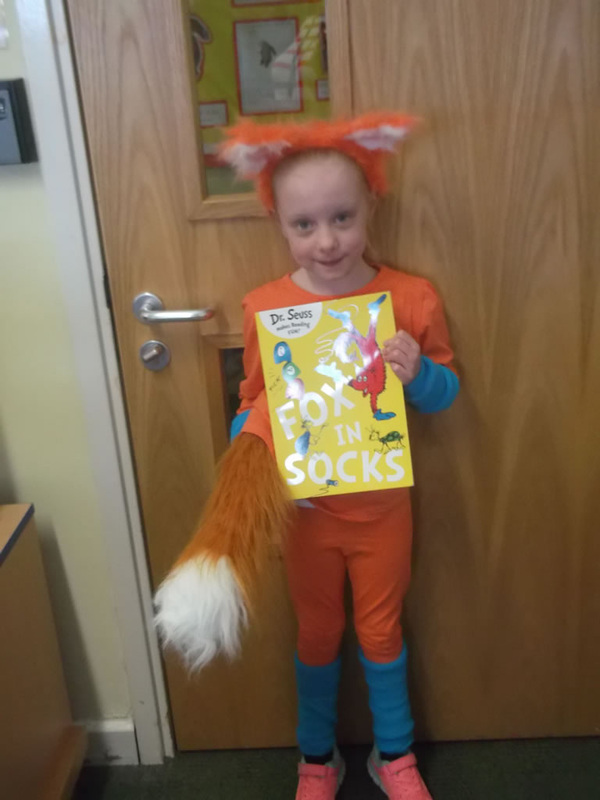 In week two we celebrated 'Book Week' in school. 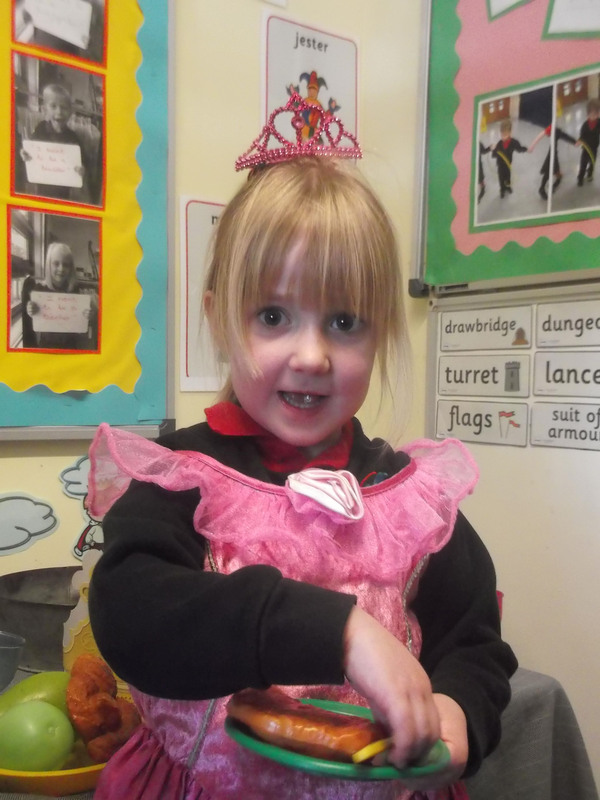 The children in Reception have listened to different traditional stories such as 'The Three Little Pigs', 'Goldilocks and the Three Bears' and 'Little Red Riding Hood'. In their child initiated learning, the children have been writing parts of the stories, writing sorry letters to Baby Bear imagining they were Goldilocks and describing characters from 'Little Red Riding Hood'. Reception also had the opportunity to work with Year 6 for some shared reading. The children loved the Year 6 children reading them their most loved stories! 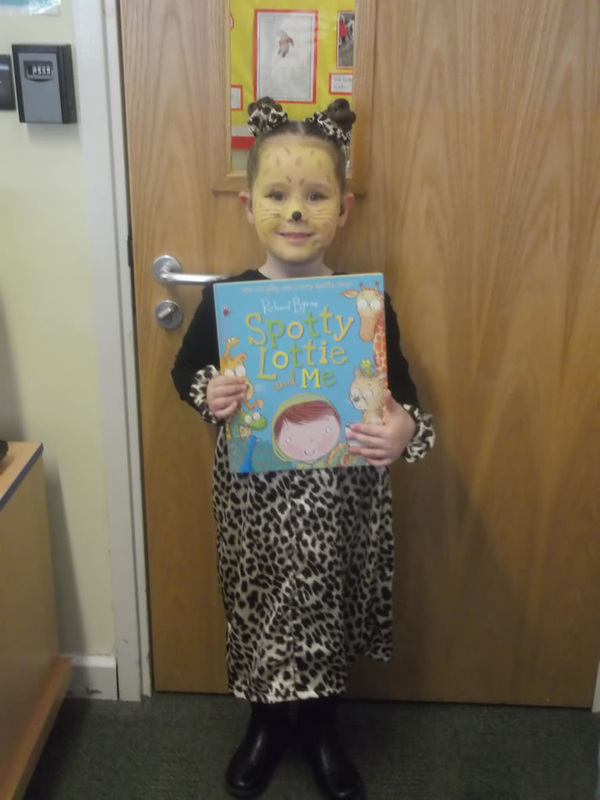 On Thursday we celebrated 'World Book Day' and the children came to school dressed as book characters. 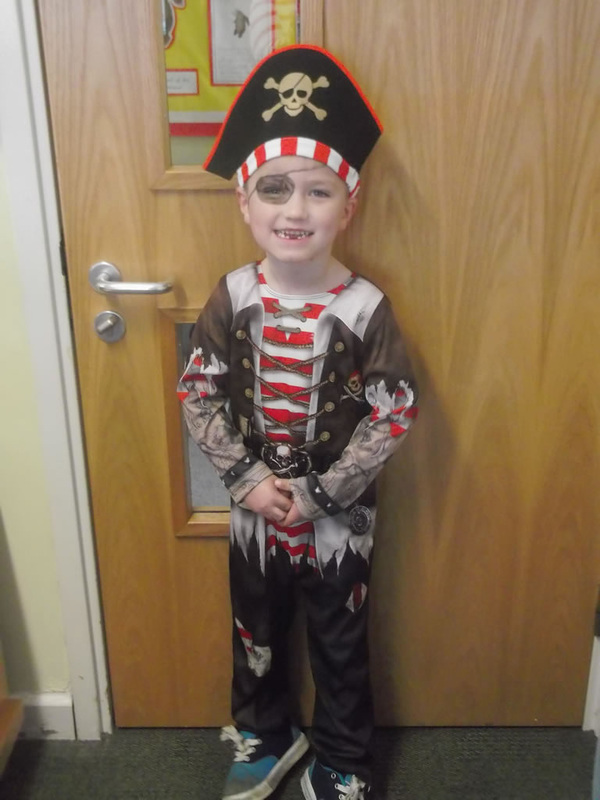 The children looked fantastic and a prize was given to the best dressed. Well done to Evie who won the best dressed prize in REP! In Maths this week the children have been learning to subtract using tens frames and counters and record a number sentence. The children have also been exploring the App. 'Teach your Monster to read' on the iPads. In week three the children have been observing their beans and writing what has happened to them. 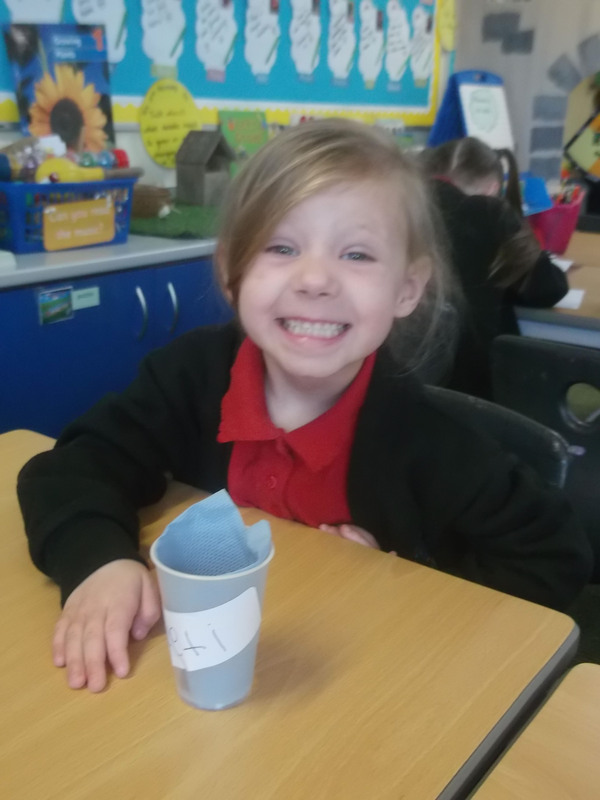 The children have observed their beans growing roots, shoots and leaves. On Monday, the children went for a walk to look for signs of spring. The children were so excited to find lots of frog spawn in the pond! We have collected a small amount to observe in the classroom and the frog spawn has already hatched into tadpoles. In Maths this week the children have been learning to double using ten frames and counters. This week we had careers week and the children enjoyed drawing pictures of all the people who help us. They also shared what they would like to be when they are older. In week four we have been listening to lots of traditional stories and fairy tales and the children have been learning to write their own story or part of a story. We have also been keeping a close eye on the frog spawn we collected last week and the tadpoles are getting bigger! The children have been talking lots about the lifecycle of a frog and the changes they expect to see. In Maths this week we have been learning to halve. First the children started off with cutting objects into halves e.g. apples, carrots, play dough. Then they progressed onto finding halves of even amounts using ten frames and counters. 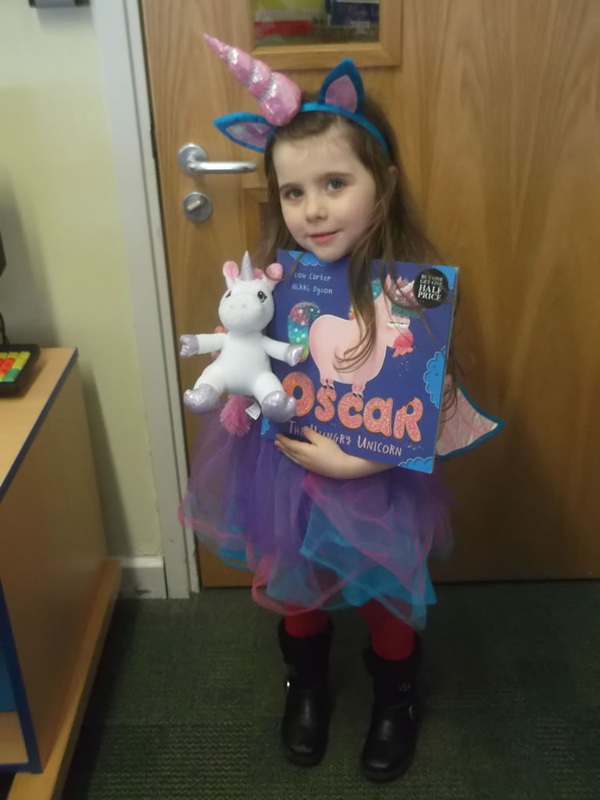 In their child initiated learning the children have been drawing characters from books, acting out stories in the role play area and making castles using construction. In their child initiated learning the children have been drawing pictures of chicks and writing down names that we could call the chicks. They have also been collaging pictures of chicks. In Maths this week the children have been learning to share amounts equally. Abubakar was chosen to have the star award this week for always trying his best with his writing and always being keen to have a go! 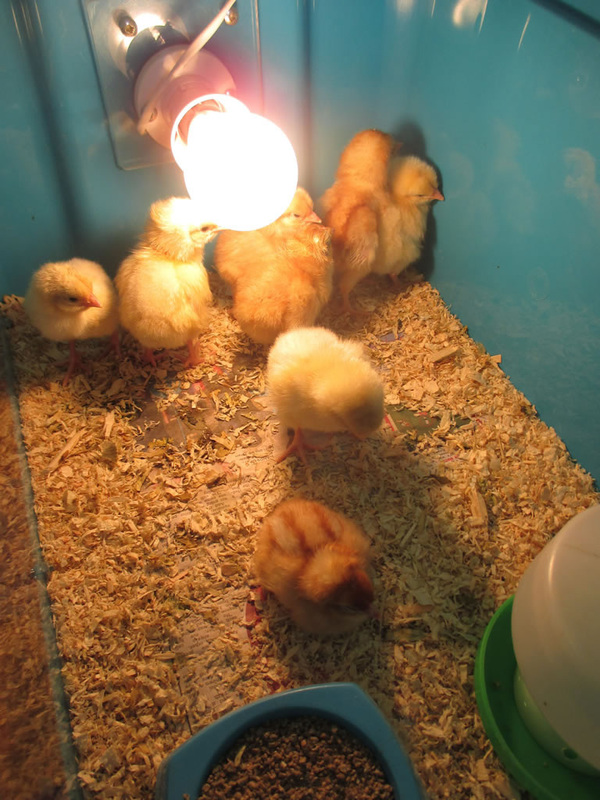 In week six the children continued to write their chick diaries. 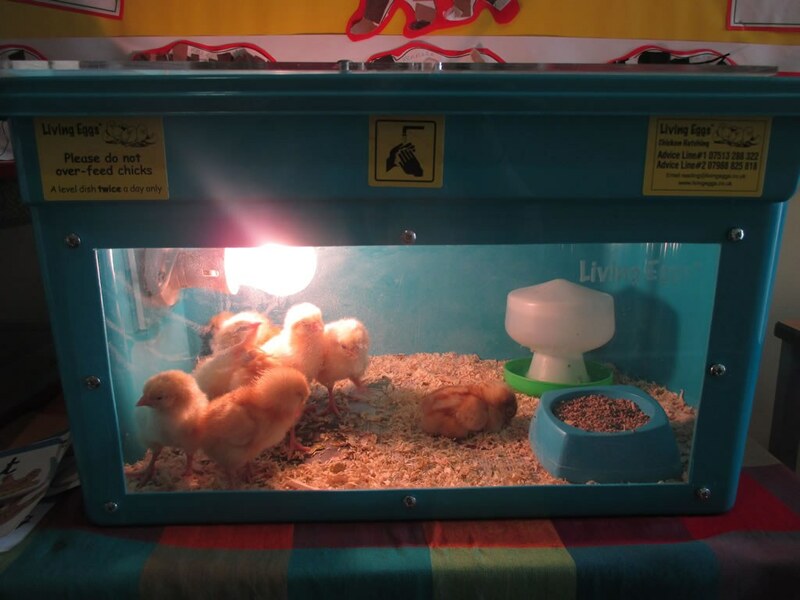 The chicks have grown so much over the past two weeks and the children loved getting the chicks out! We have discussed the life cycle of a chicken and the children have ordered pictures. In their own child initiated learning, the children have painted and drawn pictures of chicks. In maths this week, the children have recapped 3D shape. We extended the children's learning by looking at everyday objects and matched them to 3D shapes. We also sorted 3D shapes according to their properties. The children have enjoyed making and writing Easter cards to go home to their families. They also enjoyed watching a rock and pop music roadshow on Thursday.